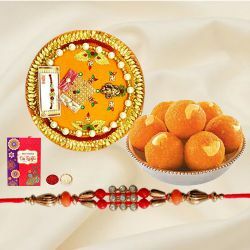 Since Raksha Bandhan is round the corner, our E-shop has been providing trusted Hassle Free Same Day Delivery service for Sending Rakhi Gifts to Brother to Bhopal. 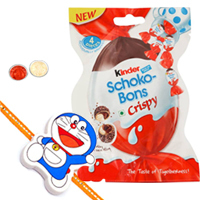 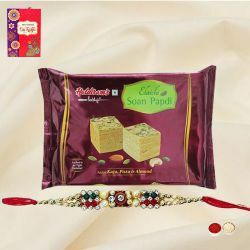 Our team of Experienced Agents make sure that your order is taken good care of whereas expert delivery boys ensure Timely Delivery of Rakhi orders to all best possible locations of Bhopal such as Hoshangabad Road, Piplani, Khajuri Kalan, Jahangirabad, Habib Ganj, Indrapuri, Mubarikpur, Neelkanth Colony, Hinotiya Alam, Gehun Kheda and various other locations. 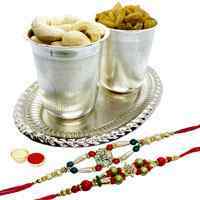 So, Send your love and regards as Rakhi Gifts for All and Rakhi Family Sets for your Brother, Bhabhi and Kids living in Bhopal. 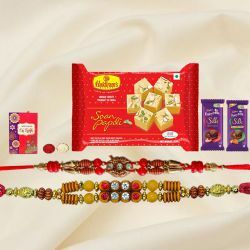 Just in a Few Clicks impress your siblings with wide array of delightful Gifts that can be opted for Online Delivery of Rakhi Gifts in Bhopal. 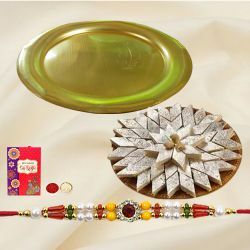 Send to your loved ones our Raksha Bandhan Gift of Silver Plated Thali with Rakhi, Rakhi with Sweets or Rakhi with Chocolates enriched with the flavours of happiness and vibrancy. 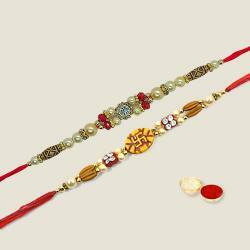 By using our express Rakhi Delivery services, buy Rakhi Gifts Online and order to Send Rakhi in Bhopal at very nominal shipping charges. 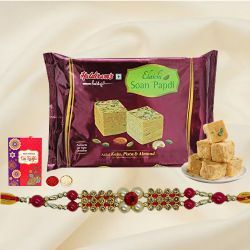 To understand the last minute rush, our E-shop provides Same Day Delivery and Mid-Night Delivery of Rakhi Gifts to Bhopal with No Extra Delivery Cost. 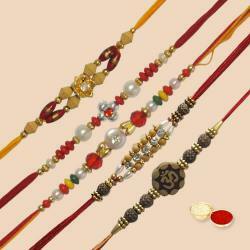 Rakhi festival should not be celebrated as a formality but should be celebrated whole heartedly. 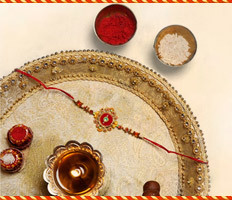 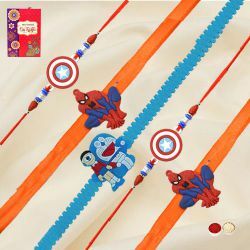 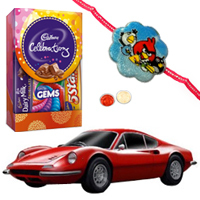 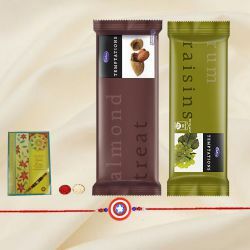 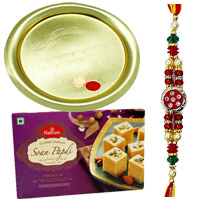 Send Premium Rakhi Gifts to Bhopal selecting from our Online Catalogue as we offer wide variety of Rakhi with Quality Guaranteed Gifts such as Rakhi with Toys, Rakhi Thali with Auspicious Rakhi or Rakhi with Dry Fruits available at different price range that can easily fit into your budget. 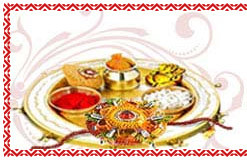 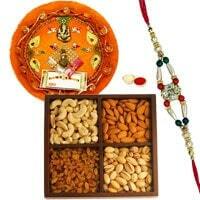 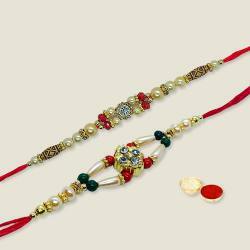 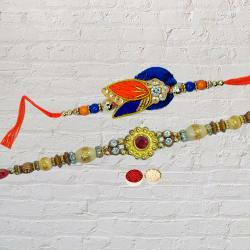 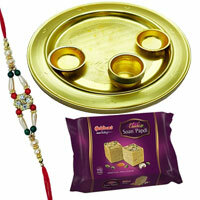 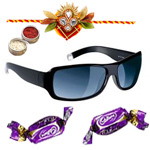 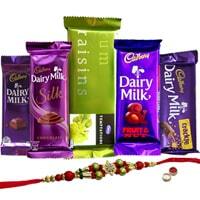 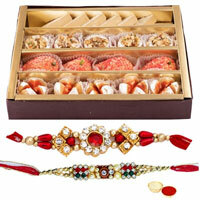 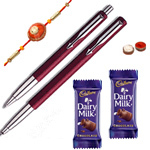 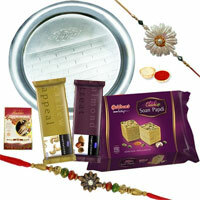 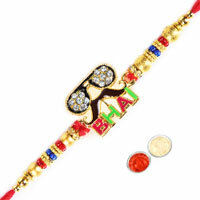 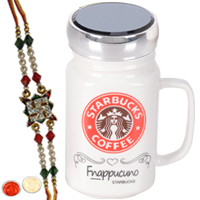 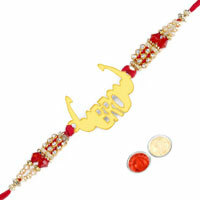 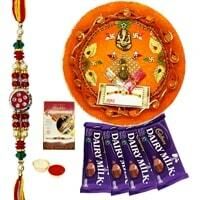 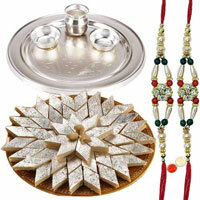 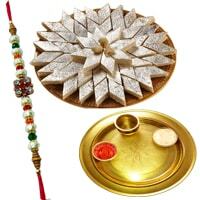 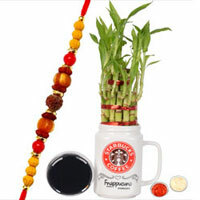 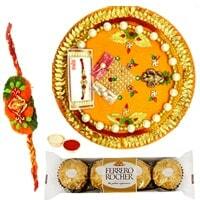 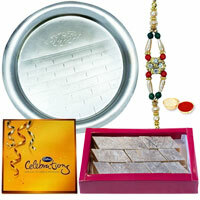 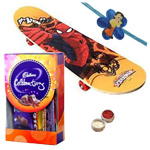 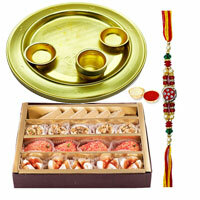 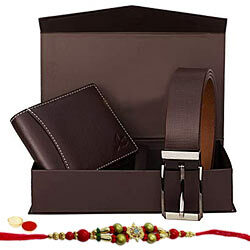 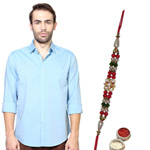 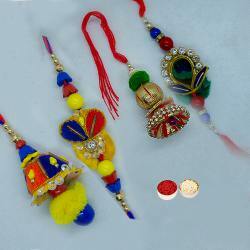 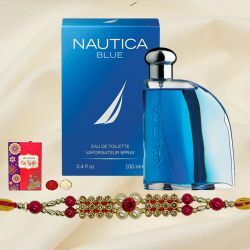 We assure Timely Delivery of Rakhi Gifts to Bhopal by our express Guaranteed Delivery service. 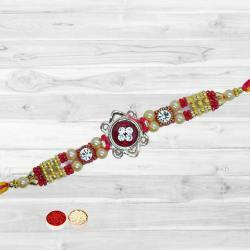 This guarantee simply proves our quality Rakhi Delivery services. 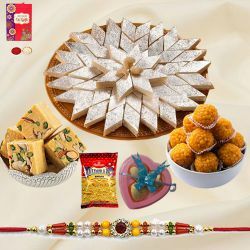 Nothing shows appreciation better than the perfect combo of blooming Floral Bouquet, yummy Cakes or delicious Sweet treats with Rakhi to Send Rakhi Gifts to Bhopal to please your loving siblings on this auspicious occasion of Raksha Bandhan. 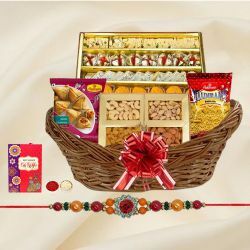 At our E-shop you will find variety of Floral Gifts and Cakes in various flavors along with Bhaiya Bhabhi Rakhi which you can send to your loving Brother or Sister nicely packed with your heartfelt emotions. 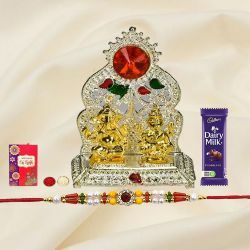 We ensure Hassle Free Delivery of Rakhi Gifts to Bhopal along with fresh Flowers from Local Florist or Fresh Baked Cakes from Local Bakery that can be delivered on time to your siblings door step so it looks as fresh and lovely as possible.